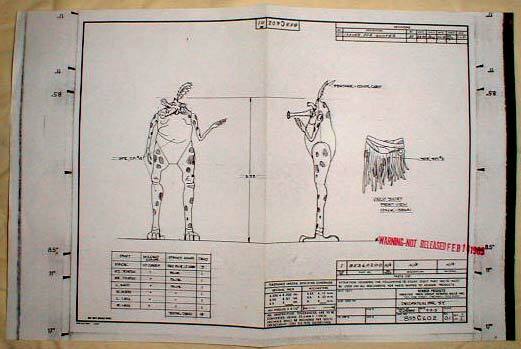 Here you see a photocopied drawing of the Sy Snootles figure, which was used to specify the colors it was intended to be molded and painted in. 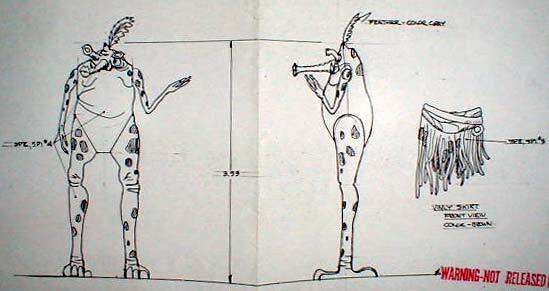 I believe it was used by Kenner to determine the cost of producing the toy. In function and format, it's virtually identical to the color spec. sheet seen here. Here's a closeup of the images. 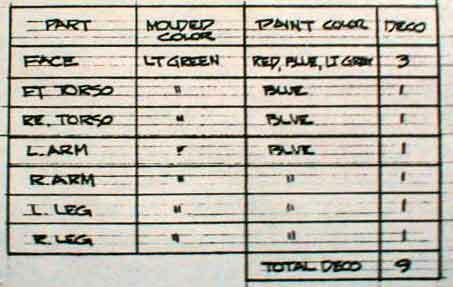 Those notations with arrows pointing to various portions of the figure indicate colors. This small chart matches the various body parts with their molded colors and deco schemes.